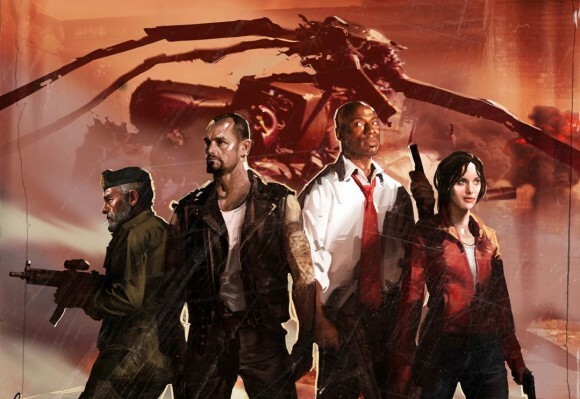 Co-Optimus - News - Left 4 Dead Crash Course Coming Before Sep. 23? Sure, we're excited about clown zombies in Left 4 Dead 2. But what's a zombie killing fan supposed to do until November? Play the upcoming "Crash Course" DLC for the original Left 4 Dead, that's what! Previously, we'd heard only that the DLC would be released in September, but, thanks to a "Game with Fame" at Xbox.com, we now know that Crash Course is likely coming before the 23rd. That's the date when the band Paramour will be playing Left 4 Dead with the rest of us anonymous zombie hunters. The price for Crash Course is $7 for Xbox 360, and free for PC users. I know I'll be picking this up upon release, which is looking like next week at the moment. Gears 2 Style Horde Mode in Left 4 Dead DLC?